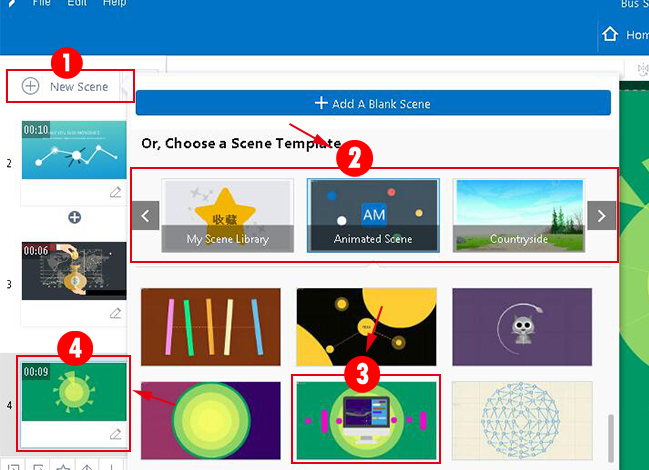 You can fully customize animated videos or gifs with beautiful different scenes. 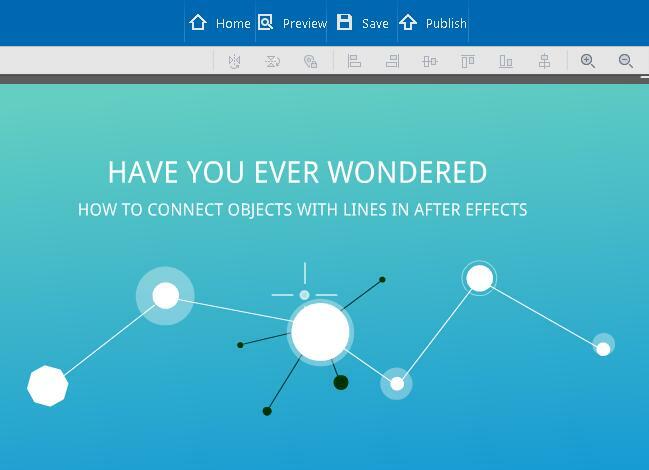 Start and enrich your contents with dynamic scenes will help you to capture more attention with ease. 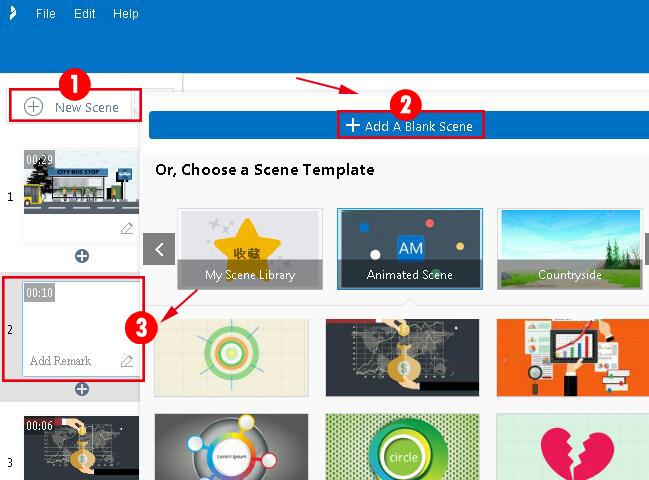 Click "New Scene" button, in the pop-up window, choose "Add a Blank Scene" option to add new blank scene in your project. After adding a new blank scene, you can freely customize it with your own contents. Click "New Scene" button, then select any style scene in the pop-up window, click one scene to add, you will beautify project with static or dynamic scenes. Then you can replace scene with your own content, or even adjust its colors, capacity, animations, etc. Next：How to copy/delete/replace a scene in your project?